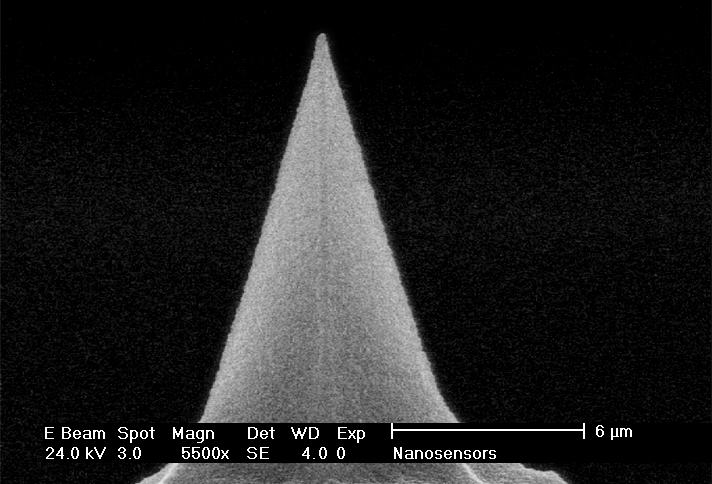 NANOSENSORS™ DT-NCLR AFM probes are designed for non-contact mode or tapping mode AFM (also known as: attractive or dynamic mode). 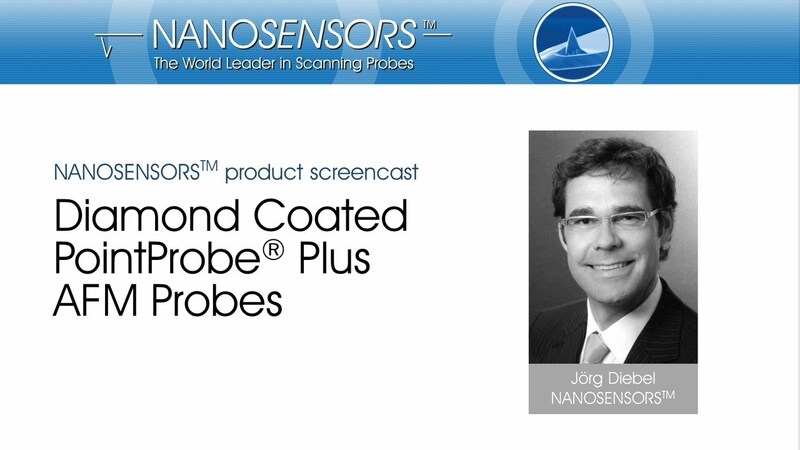 The NCL type is offered as an alternative to NANOSENSORS™ high frequency non-contact probee (NCH). The NCL type cantilever is recommended if the feedback loop of the microscope does not accept high frequencies (400 kHz) or if the detection system needs a minimum cantilever length > 125 µm. Compared to the high frequency non-contact type NCH the maximum scanning speed is slightly reduced. This AFM probe combines high operation stability with outstanding sensitivity and fast scanning ability. For applications that require hard contact between tip and sample this sensor offers a real diamond tip-side coating. This coating features extremely high wear resistance due to the unsurpassed hardness of diamond. The typical macroscopic tip radius of curvature is between 100 and 200 nm. Nanoroughnesses in the 10 nm regime improve the resolution on flat surfaces.